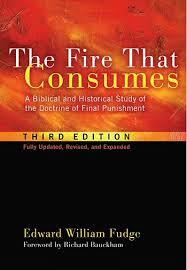 Edward William Fudge, The Fire That Consumes: A Biblical and Historical Study of the Doctrine of Final Punishment, Third Edition (Eugene, OR: Cascade Books, 2011). John Dickson, a leading Sydney Evangelical, recently commented that hell is one of the few issues that makes contemporary Christians blush, even “squeamish.” Since the late 1980s, when scholars such as John Stott and Philip E. Hughes publicly turned their backs on the idea that unbelievers experience conscious suffering for all eternity, evangelicals have been divided over the doctrine of hell. Even the great reformer Martin Luther (1483-1546) argued that “it is the supreme expression of faith to think Him merciful who saves so few and condemns so many, that He is righteous who by His own will has necessarily made us guilty so that, according to Erasmus, it seems that He rejoices in the suffering of the miserable and is more worthy of being hated than loved.” Luther rejected the idea of purgatory but he still believed that “constantly they will suffer pain, and constantly they will be a fiery oven” because unbelievers will not be able to bear the presence of God. In The Fire that Consumes (2011), Edward William Fudge argues that the reformers of the sixteenth century did not properly think through the doctrine of hell because they had so many other things to deal with. Fudge sets out to resolve this problem by applying the principle of sola scriptura (discerning doctrine on the authority of scripture alone) to the doctrine of hell. Read carefully, Fudge says, the Bible does not teach that souls are immortal and will spend eternity either in heaven or hell. Rather, it offers the choice between “life and death” – eternal life in Christ or total destruction in hell. Fudge argues that the Old Testament vision of Sheol is of a place where everyone goes when they die. The wicked have no hope of leaving Sheol, but the righteous trust in God to deliver them. 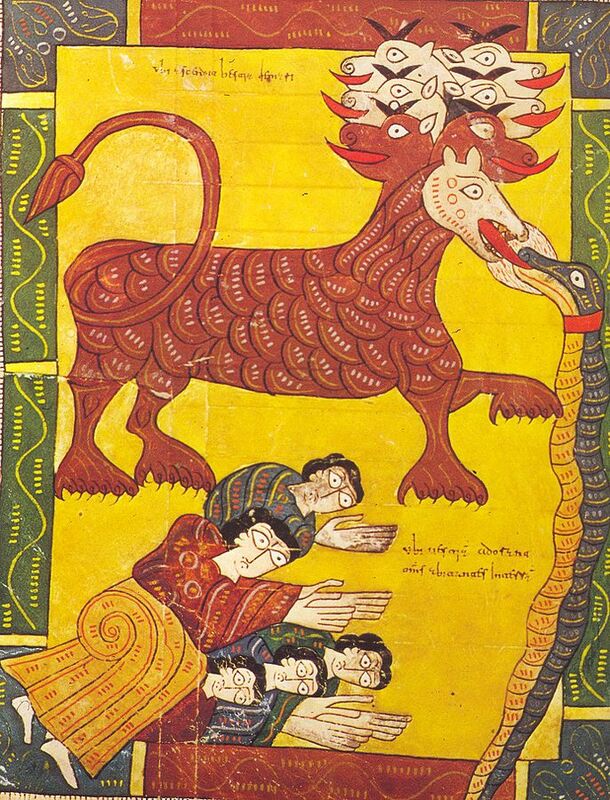 They “lie down in peace, fully expecting to live again.” When ancient Hebrew writers spoke of divine judgement they thought in terms of the total destruction of the wicked, who would be wiped off the face of the earth. Old Testament ideas about the afterlife are found again in the Apocrypha and the Dead Sea Scrolls, but new ideas entering Judaism from Greek and Persian religions appear in the Pseudepigrapha. Books like the Sibylline Oracles, the Psalms of Solomon and Fourth Ezra say that the wicked will totally pass away, whereas Second Enoch, Second Baruch, and Fourth Maccabees describe unending conscious torment. Other Jewish writings from this period are ambiguous or unclear on this issue. Jesus often spoke about Gehenna, which Fudge says “had become a more-or-less standard term in Second Temple Judaism for the fiery pit in which the godless will face divine justice.” The prophet Isaiah writes, “And they will go out and look on the dead bodies of those who rebelled against me; the worms that eat them will not die, the fire that burns them will not be quenched, and they will be loathsome to all mankind.” (Is. 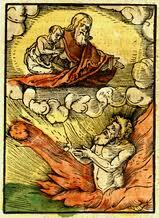 66:24) Note how in Isaiah it is the worm and the fire that are eternal, not the people thrown into Gehenna. Fudge explores metaphors of worms and unquenchable fire through various parts of the Bible to show that these are common images of associated with the total destruction of the dead. Finding eternal conscious torment in Jesus’ teachings is actually quite difficult. The “bad trees” of Matthey 7:15-20 that are thrown into the fire are put there to be burned up. 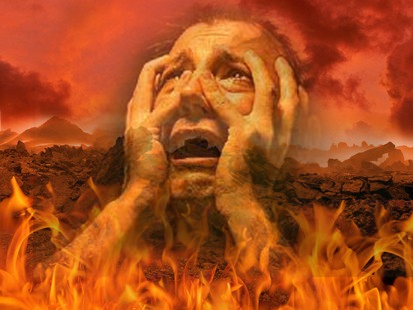 When Jesus warns us to “be afraid of the one who can destroy both soul and body in hell,” (Matt 10:28) he probably means that both soul and body will be destroyed in hell. When he speaks of the sheep and the goats (Matt 25:31-46), he suggests that that “eternal punishment” is the opposite of “eternal life,” which logically means being dead for all eternity. The parable of the rich man and Lazarus is trickier for Fudge, but he points out that here Jesus is reworking a common Rabbinic story to make a point about the exploitation of the poor. He finds it hard to believe either that people in heaven will be able see others suffering in hell or that a drop of water would make the least bit of difference to someone in a lake of fire. Therefore, Fudge concludes, the description of hell here must be figurative and is not meant to be understood literally. The last third of The Fire that Consumes is dedicated to a brief history of the idea of hell in Western Christianity. Fudge argues that the Apostolic Fathers (Didache, Clement of Rome, Ignatius of Antioch, Polycarp, Epistle of Barnabas, and the Epistle to Diognetus) never speak of eternal conscious suffering. Instead, they say that the wicked shall “perish,” be “destroyed,” or “die.” There is more debate over whether Justin Martyr (100-165) believed in annihilation or torture because his writings could be read either way, but by the time we get to Tatian ( -180), Irenaeus (130-202) and Tertullian (155-222) we have Christian writers who clearly believe that the souls of the wicked are also immortal. Clement of Alexander (150-215) and Origen (185-250) took a third view, which is that souls will be purified in hell for a time before returning to God. The very idea that all human souls are immortal came from Greek philosophy, and Origen’s universalism fits third century neo-platonism the most snugly. According to Fudge, the biggest difference between the first, annihilationist generation and the second, pro-torture generation is that the earlier writers were simply commentating on the New Testament whereas their students were writing apologetics and had begun engaging intellectually with pagan philosophy. Fudge continues his story through the Middle Ages and the Reformation up to the present, digressing frequently to engage in polemics with his opponents. Almost every chapter in this third edition contains a section entitled “interaction,” in which he summarizes and responds to the criticisms made of earlier editions of the book. These are interesting as a literature review but add little to his argument. Personally, I find Fudge’s reading of the Bible very compelling, and although Fudge never mentions theodicy, it seems truer to the nature of the Biblical God, who is loving, merciful, and just, than the idea of eternal conscious torment. Sure thing. Quote away. I’m very glad to hear that it’s useful material.